Last week I shared a short list of some of Canada’s quirkier museums – great for day trips if you live in the area. This week, I’m focusing on some of Canada’s lesser-known natural wonders – lovely places for a day trip and a picnic lunch. Let’s begin on our eastern shores with Percé Rock, located on the tip of the Gaspé Peninsula in Quebec. Percé Rock is an extremely large, sheer limestone rock formation in the Gulf of Saint Lawrence. For a few hours a day during the summer, Percé Rock is accessible by foot where you can see fossils and well-populated bird colonies. Boat tours are also available. Speaking of fossils, Joggins Fossil Cliffs in Nova Scotia are a must see for any paleontology enthusiast. 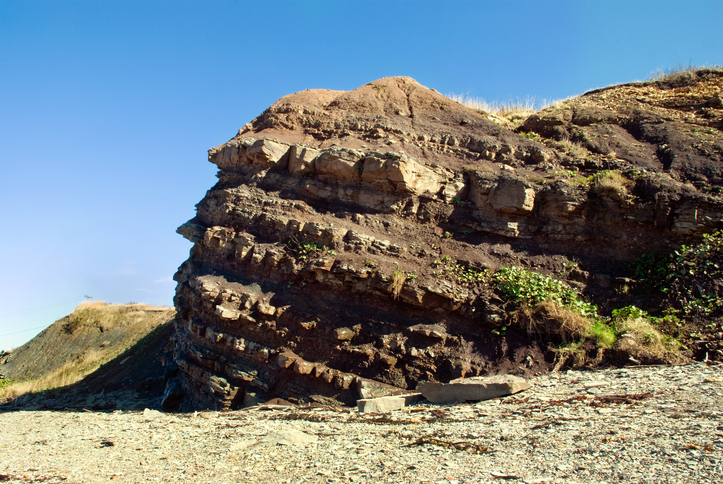 The extreme tidal action of the Bay of Fundy acts on the Fossil Cliffs, regularly exposing plant and animal fossils from the Pennsylvanian "Coal Age" during the early Carboniferous Period. Scientists have discovered some of the most important fossil records here, including the earliest known sauropsid (reptile) in the history of life. This UNESCO World Heritage site offers a number of different guided tours as well as an educational centre. 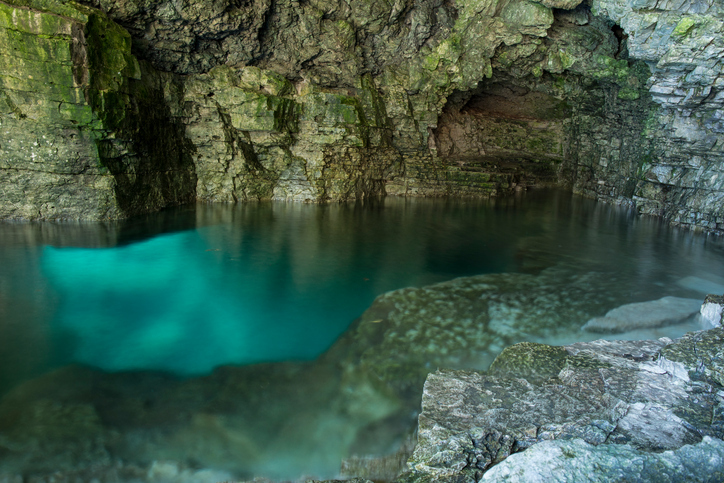 In Ontario, near the top of the Bruce Peninsula, is The Grotto – a limestone cave on the Georgian Bay shoreline that is known for its crystal clear blue waters. You can hike to the cave and then descend into the Grotto either through a chimney rock formation or an open cliff face. Make sure you’re wearing proper footwear. Now, to be honest, climbing up and down 40ft open cliff faces isn’t really my jam. Rather the Crooked Bush near Hafford, Saskatchewan is more my speed. 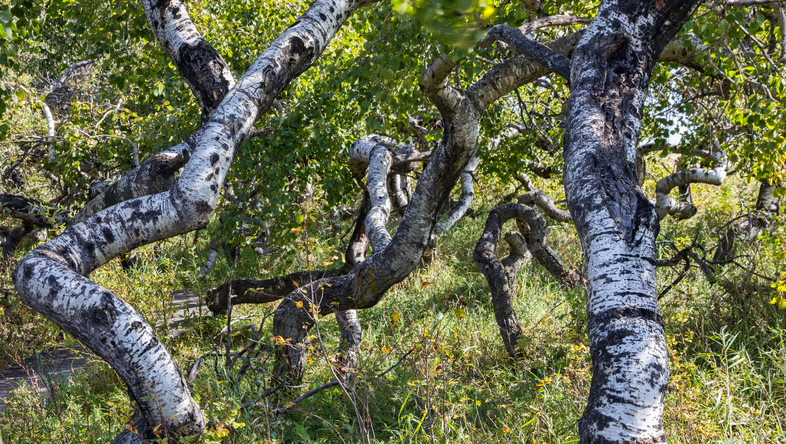 Here, a stand of Aspen trees and their DNA has gone rogue; instead of growing in straight, tall stands, the Crooked Bush is a mass of twisted and curled trunks. The “Friends of Crooked Bush” have built a boardwalk through the trees where you can stroll and observe the results of mutant DNA. And it’s extra creepy at night. A few years ago, I visited this last lesser-known natural wonder, the Sooke Potholes in Sooke, BC. 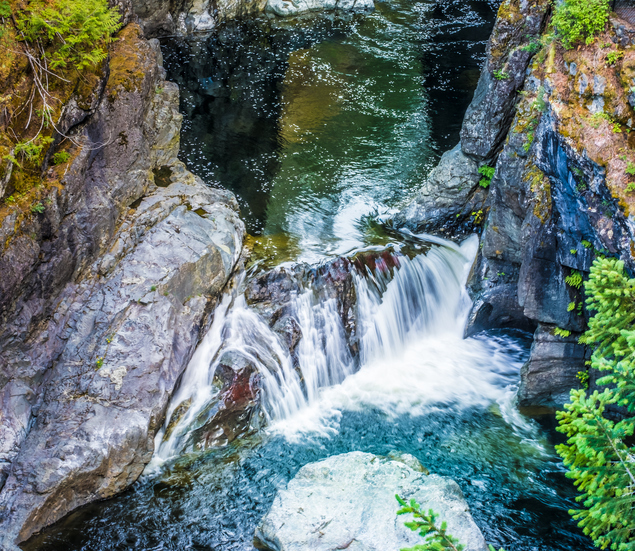 Located near the southwestern tip of Vancouver Island, the Sooke Potholes are deep, polished rock pools and potholes carved naturally into the bedrock of the Sooke River. The water is clean and clear, and as such, the potholes are a popular swimming destination in the summer. And that wraps my short list of lesser-known natural wonders in Canada. Did I miss your favourite? Share it in the comments! And next week, get ready for something really different!